What Is the Best Way to Clean out Gutters? Cleaning your gutters is a simple way to maintain them. 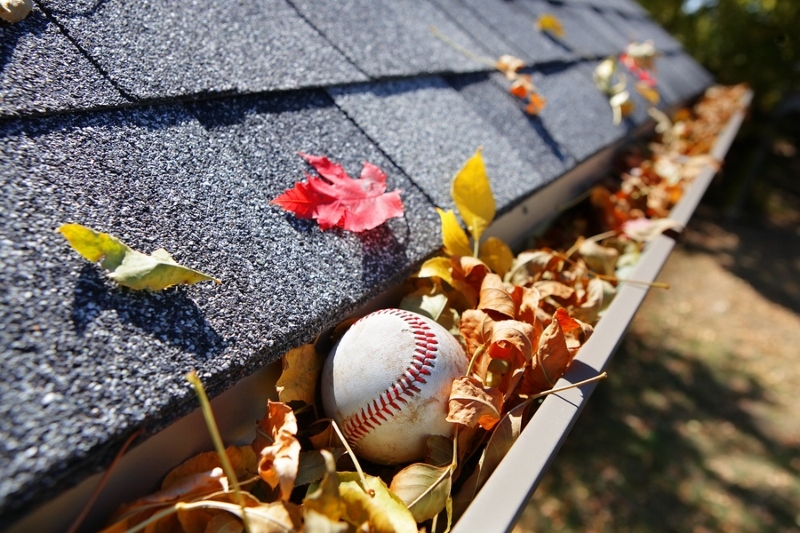 When you do it during late spring and early fall, or after a storm, your gutters won’t clog. 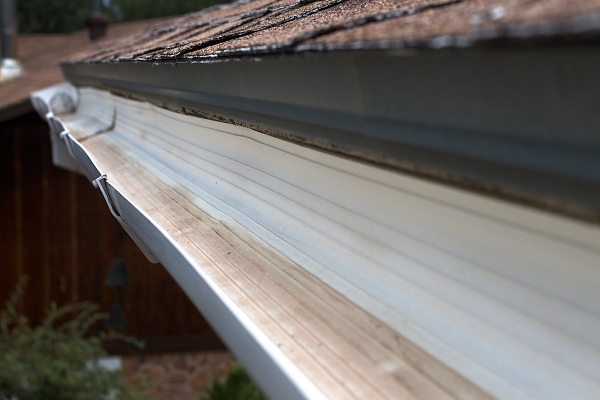 Clog-free gutters mean that water flows freely instead of backing up to the roofing material. Suggested Reading: When Should You Clean out Your Gutters? 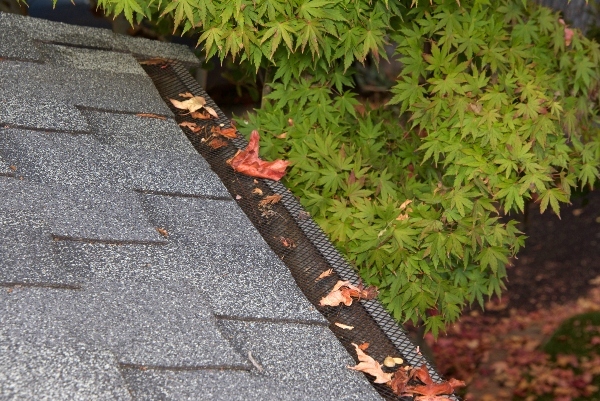 So in this section, we’re going to list three gutter cleaning tips you can choose from. You be the judge. This is the first do-it-yourself method that most homeowners can tackle. Doing it from the ground is also safer because you don’t need to deal with heights. It’s scarier and more risky to walk on the roof, isn’t it? 1. Place a sturdy ladder on a flat ground. If you use an extension ladder, check the locks and braces to make sure that they’re secured. Stand-off stabilizers are a great addition since they keep the ladders stable. 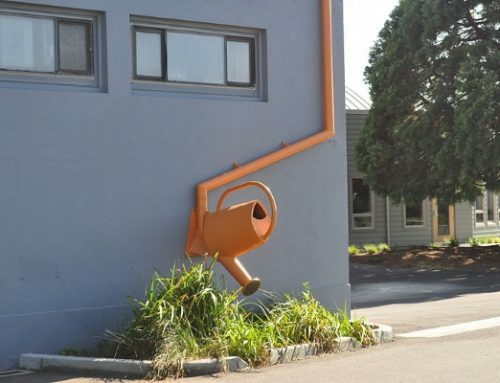 At the same time, they prevent the gutters from getting damaged. 2. Scoop out debris from the gutters. Using a trowel or gutter scoop, take out accumulated material from the gutters. Put them in a bucket. 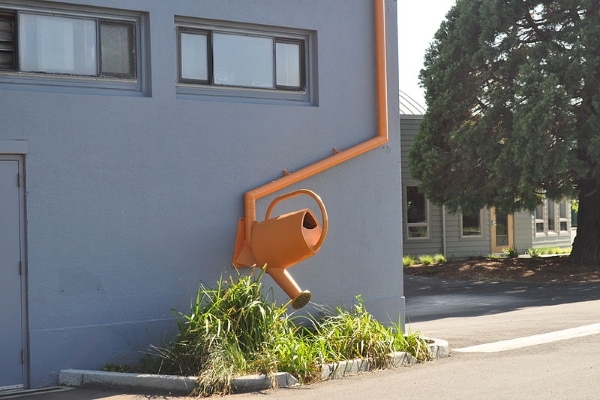 To do this, use a garden trowel or a gutter scoop. You’ll be able to easily take out larger debris like leaves, bird nests, and twigs. Protect your hands by wearing a pair of thick gloves. As you scoop out debris, do it starting at the drain outlet moving towards the opposite side. This prevents the downspouts from clogging. Put all the debris in a bucket. 3. Rinse the remaining debris using a garden hose. Now that you’re done collecting the larger debris, it’s time to completely clear the gutters. Take out a garden hose and spray clean the gutters. Since at this time, the ladder is at the opposite side of the gutters, move towards the drain while spraying. Make sure that the downspouts don’t clog by using a drain snake. You’ll find yourself needing this method if the roof is filled with leaves. There is little use in cleaning the gutters if the wind is only going to blow the leaves away from the roof and into the gutters. This is no fun task at all, which is why you should wear non-slip shoes with rubber soles. Also, never walk on the roof when it’s too sunny or your roof is slippery because it rained. 1. Clear off leaves from the roof with a leaf blower. Using a leaf blower is safe. Other alternatives include a soft broom or cleaning brush. You should never remove leaves from the roof using a power washer. 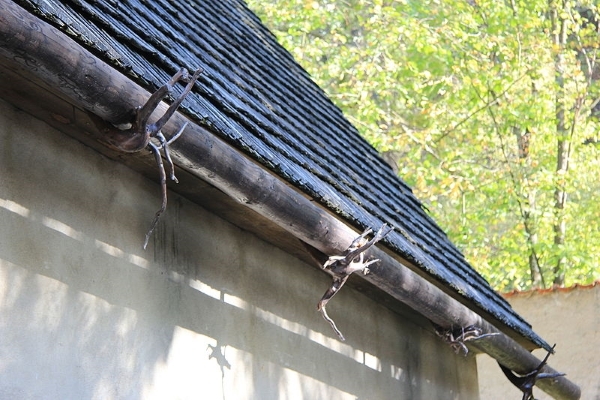 Some people still practice this and this method creates damage to the roof shingles. Remember that not all roofing materials can withstand pressure washing. Pressure washing can also void warranties – better stay on the safe side by avoiding it. 2. Repeat steps two and three of cleaning gutters from the ground. 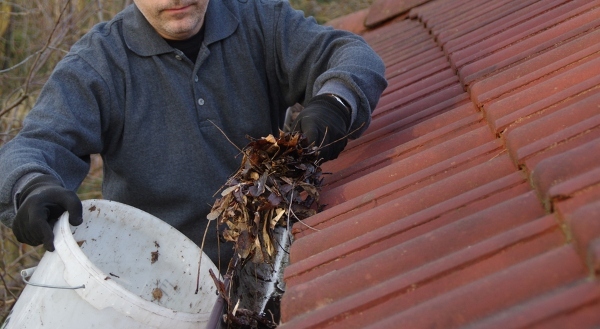 Since the leaves are already blown away from the roof, you can now focus on cleaning out the gutters. All you need to do is repeat the last two steps we discussed – scooping out and rinsing the remaining debris. Professional roofing contractors are the best people to handle gutter cleaning. What is the best way to clean out gutters? We already mentioned two methods: cleaning from below and above. These methods are common among do-it-yourselfers. 1. You have a two story house. 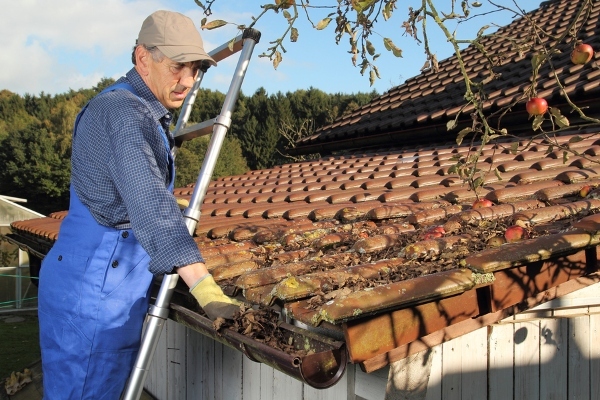 It’s easier to clean the gutters of a single story home. A double level home increases your risk for accidents. Best to call out a roofing contractor. 2. This is your first time. A DIY job might excite you. You see, all homeowners who clean gutters on their own had their “first time” and share of mistakes. Would you be willing to make costly mistakes or risk your safety? We hope not. The reason why you should hire a roofing contractor to do gutter cleaning after a storm is an opportunity to conduct a complete roofing inspection. There might be damages to the roof and gutters that you’re not aware of. If your contractor discovers them, have them resolved right away. 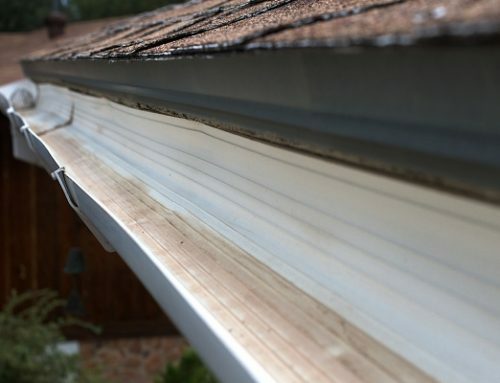 Here at Slavin Home Improvement, we provide gutter repair services in Connecticut. 4. You don’t have the time and tools. As we mentioned, hiring a professional means that you save time. Time in figuring out the right steps and gathering the necessary materials. Busy homeowners don’t have a lot of time for home maintenance tasks. 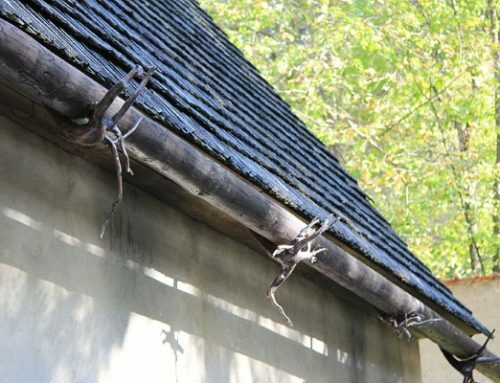 Instead of neglecting gutter health, better entrust it to the experts. 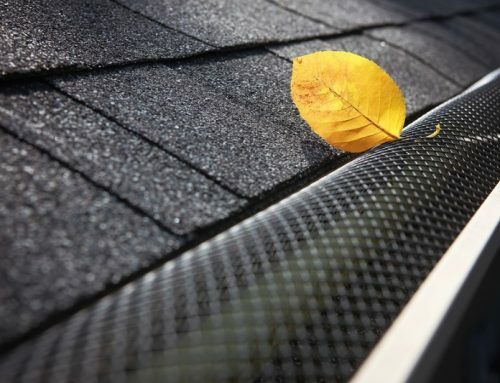 Gutter protection or gutter guards effectively keep out the leaves. 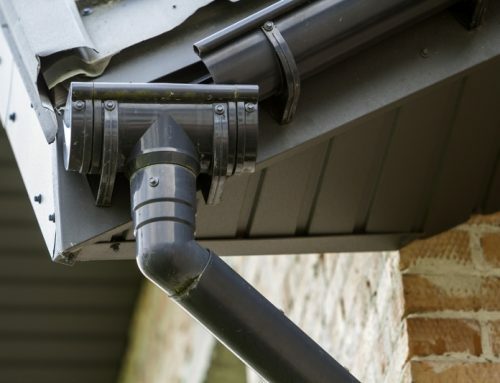 Is there a proven solution to do away with gutter cleaning? Yes, there is – gutter guards. Previously, we wrote about whether gutter guards are really effective. 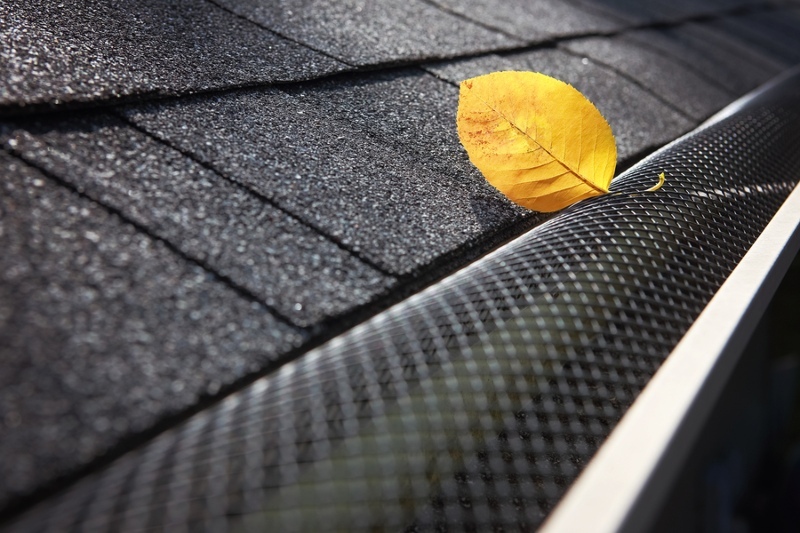 Think of gutter guards as filters that keep the leaves and other debris from getting into the gutters. 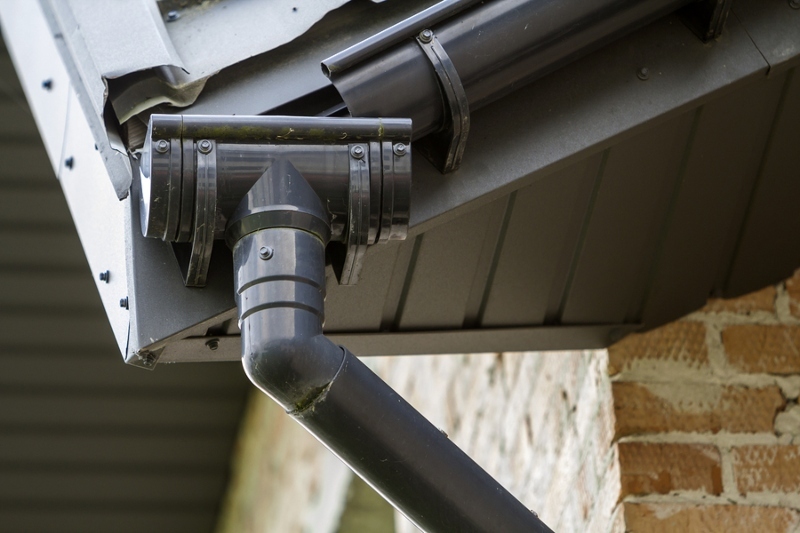 As a result, your gutters are clear and water doesn’t accumulate or overflow. Gutter guards maintain a dry foundation, dry home. They prevent animals from making a breeding ground or nesting place out of your gutters. We install gutter guards for your home if you want this solution. Finally, you reached the end of this guide knowing what is the best way to clean out gutters. So, what’s your preferred method? If it’s number three for you, know that it brings a lot of benefits. As a professional roofing company, we understand the complexities of roofing. That said, we advise homeowners to stay safe by relying on expert services. Thank you for reading this post! For roofing help, call Slavin Home Improvement at 860.272.6904. Ellen2019-01-16T13:14:41+00:00Rain Gutters|Comments Off on What Is the Best Way to Clean out Gutters?